Well, that cats are officially out of the bag! 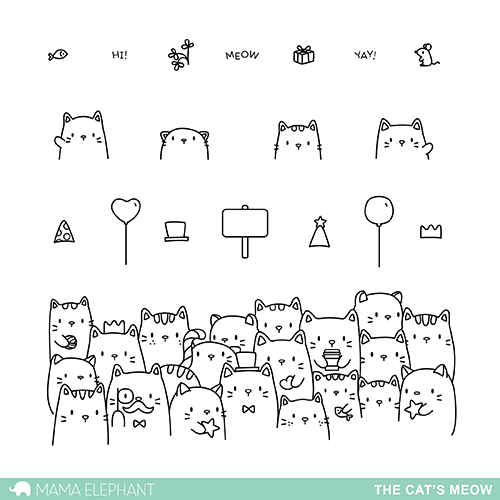 We're super stoked to unveil The Cat's Meow today, it's everything I want in a stamp set! That large crowd of kitties is life! Stamp and color any which way you like, you cannot go wrong! To create this card, I stamped the cluster of kitties three times and then painted with watercolor creating that glow from the star. On the inside, I stamped "It's your time to shine" from Lights Out. 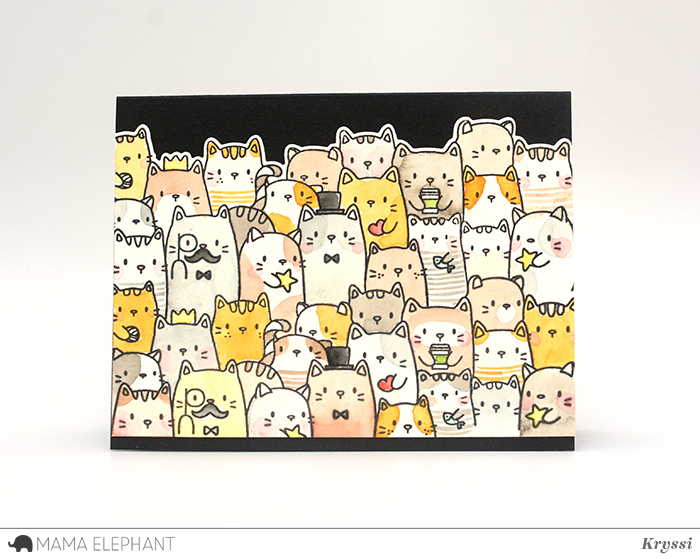 Here's my second card, I had a ton of fun loosely watercoloring these kitties! There are so many possible ways and they all look good! My fave are the stripes, so fun! Today we are also introducing new Favor Bag Accessories. So many of you love our Bunny bags, we decided to make a few more as per your request! The nice thing about these cuts are that they also work with our Gable Boxes! 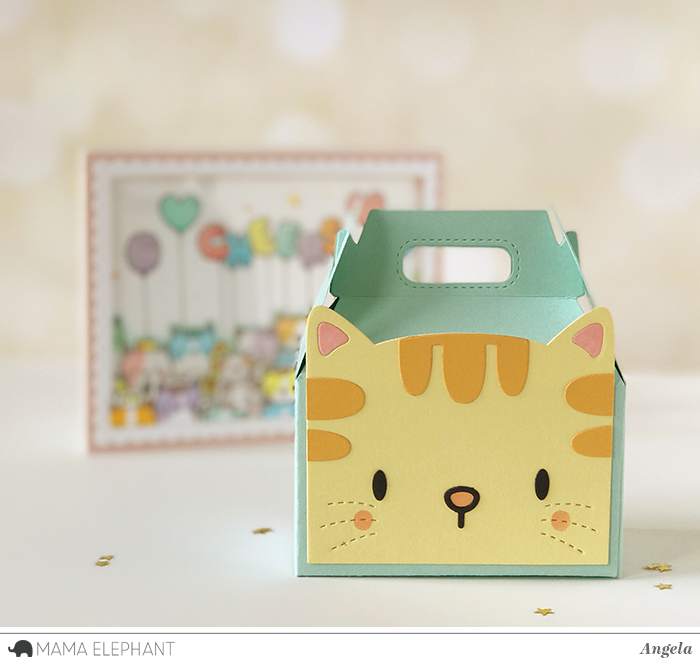 I think this Kitty box goes great with our Kitty themed cards for today! It doesn't end there! We got Bears too! I am so smitten with this brown teddy bear and this classy panda bear! 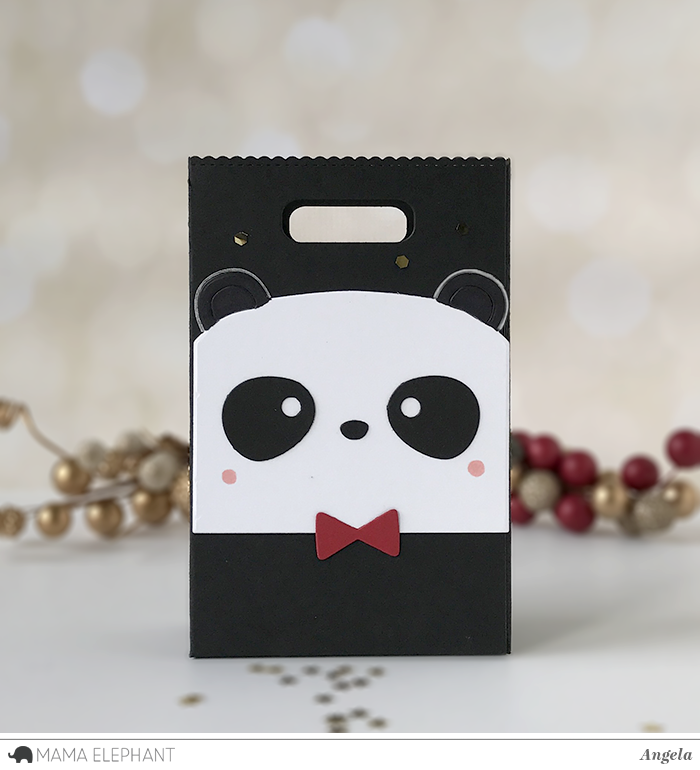 The great thing about the Favor Bag Accessories series is that you can mix and match the accessories! Thanks for joining us today! We hope you are excited about these new goodies as we are! 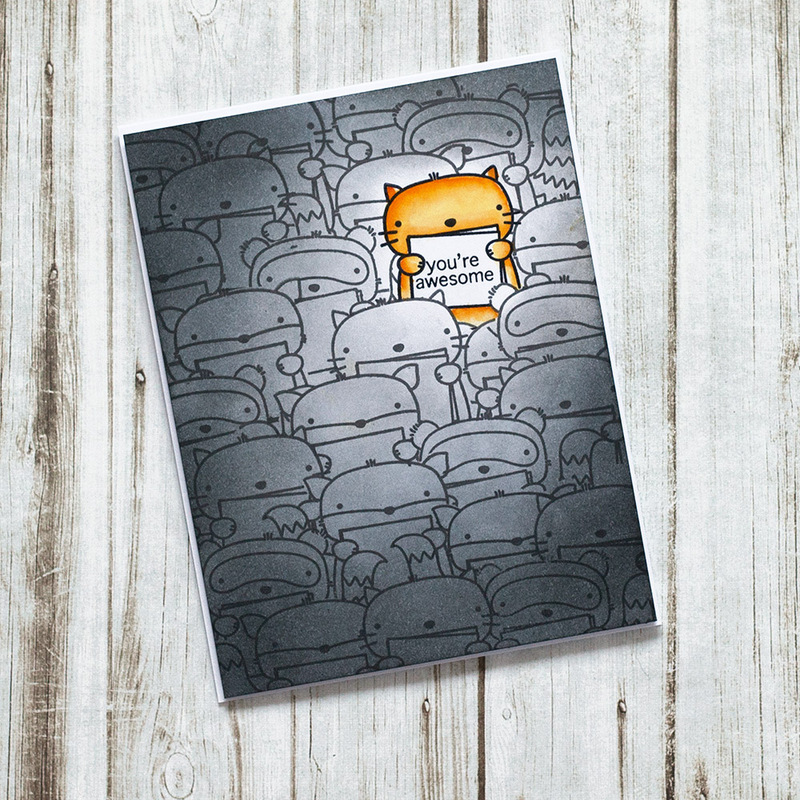 You are killing my budget with all your cute dies/stamps. I love them all! 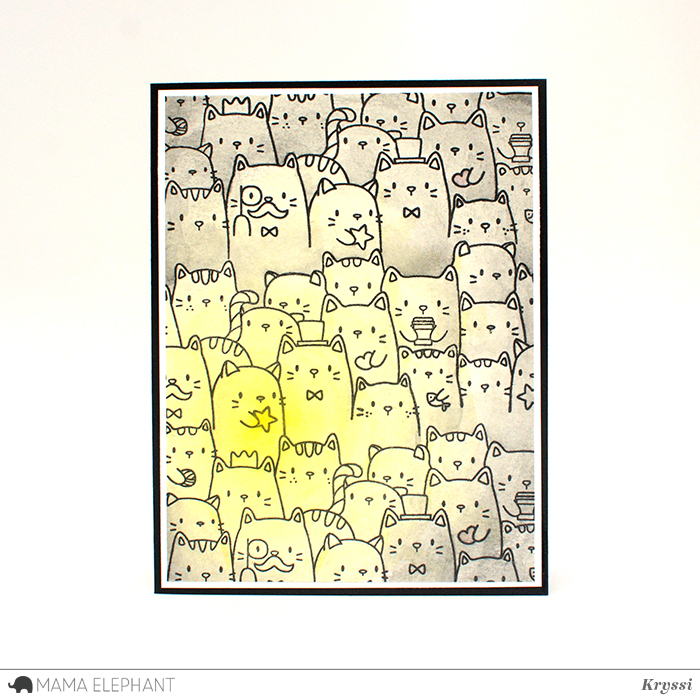 Adorable new release!! 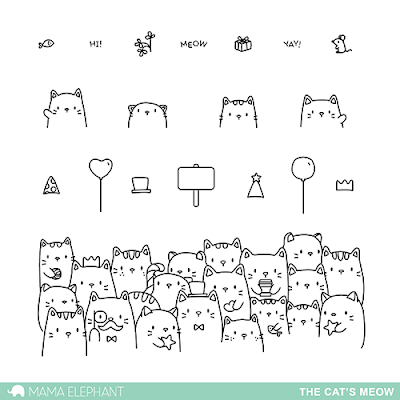 The kitties stamp set is just so cute! And I'm so excited to see more favor bag dies!! Love! Especially the favor bag dies! OMG...I need to earn more money! Oh my goodness I love the add-ons for the gift bags!!!! I love those little kitties! I am overwhelmed by all the cuteness! Ohhhhhh my goodness! The cuteness is too much!! You are killing me with the kitty crafts! I will be seeing you on the 15th! Adorable!!!!! I need them all!! Can't wait!!! Love them❤️!!!! SO GLAD I just sold a bunch of old stamps and dies so I can buy THESE!!!!!!!! Lol You guys are KILLING ME!! So excited about this new stamp! OH boy, aren't they so very cute! 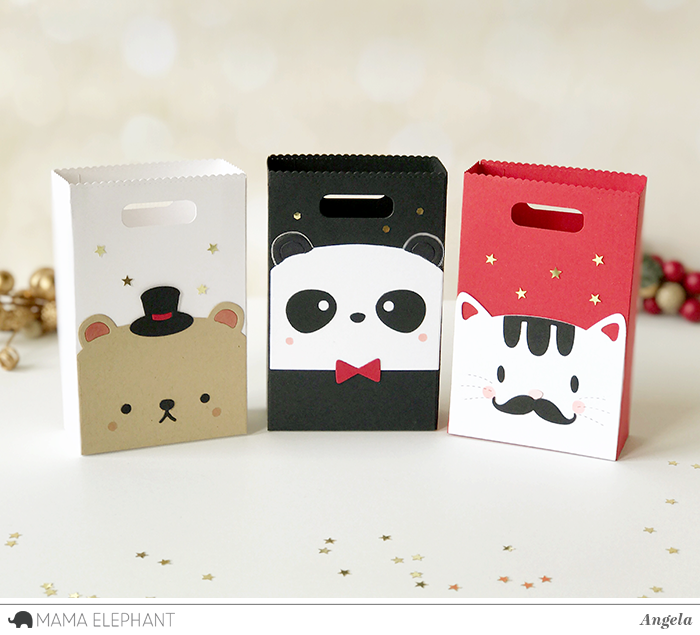 O my, those bags/boxes are just too cute!! Love them!! Wow. 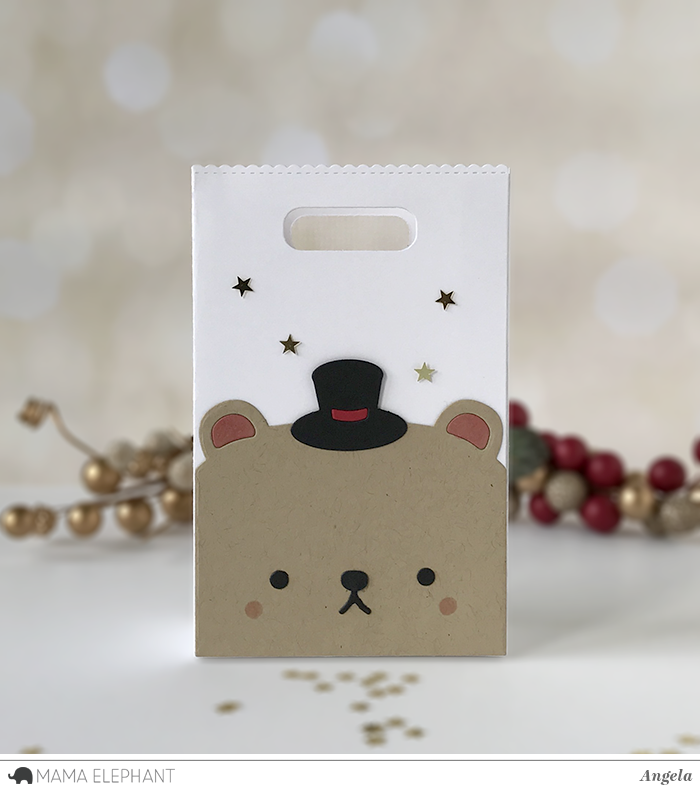 I just love the kitty and bear favor bags. Is this all one set or more than one accessory set? The cats! They are fabulous!!! Please tell me you are already designing this in dogs too please!! Too cute... Would take it in multiple animals!! Hi, Kryssi! 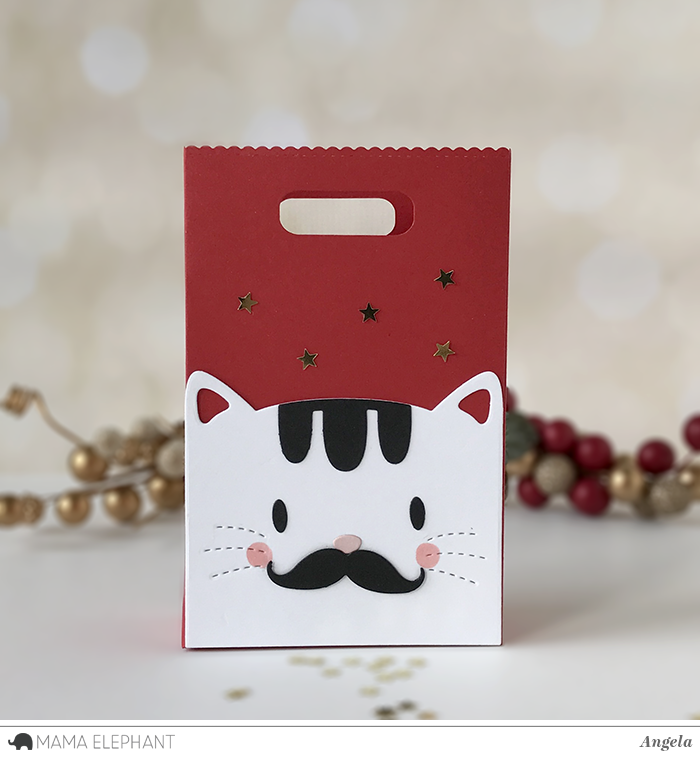 Your cat cards are fabulous! Both of them. I liked the striped cats, they made me smile. Have a nice day too!